I don’t really remember Janis Joplin. She was a little before my time. I was more of a Carly Simon girl. But I love girl rock – like Pink, Joan Jett, Adele. 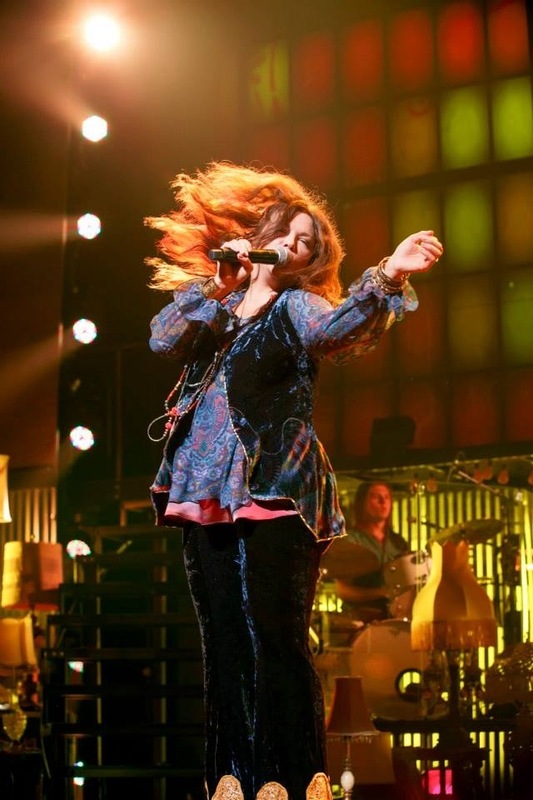 Janis was the first, a trail-blazer, a Texan, a woman who told it like it was. I felt like I made a friend at the Lyceum Theatre the other night. Mary Bridget Davies played Janis with an uncanny likeness. She has an extraordinary voice. I did worry about her. How can she do that gravely rocker girl scream and not lose her voice? As a performer, Davies held nothing back. She gave it all. And this is the beauty of Janis, I learned. She had an unbridled passion. Almost every other number featured one of the amazing performers who were also the back up singers — Taprena Michelle Augustine, De’Adre Aziza, Allison Blackwell and Nikki Kimbrough. They were divas in their own rights. In that order, they played Bessie Smith, Nina Simone, Aretha Franklin and Etta James. This is the second musical I’ve seen in a few months that has featured Nina Simone as a kind of guardian angel character. I’m getting to think she deserves her own musical. 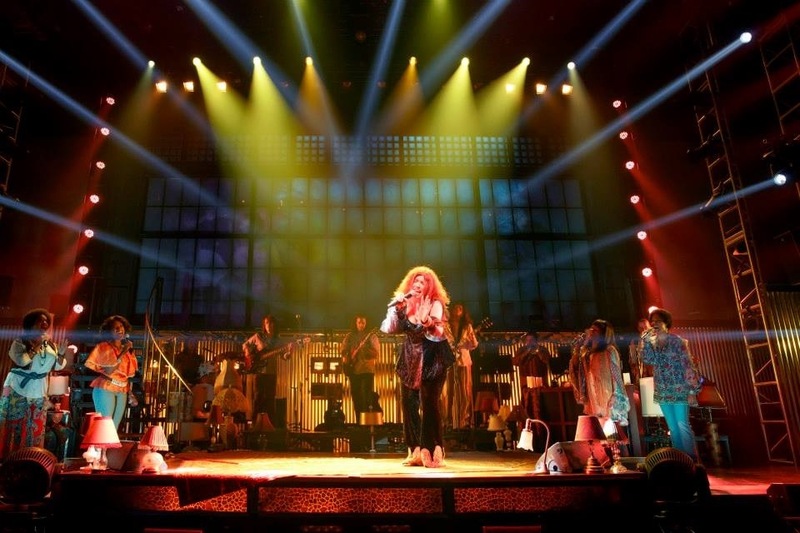 The other musical with Simone was Soul Doctor, the story of Rebbe Schlomo Carlebach, a Jewish recording artist, from the 1960s, who professed and lived a life devoted to love and God. That musical, like this one, was about a ’60s cult figure. 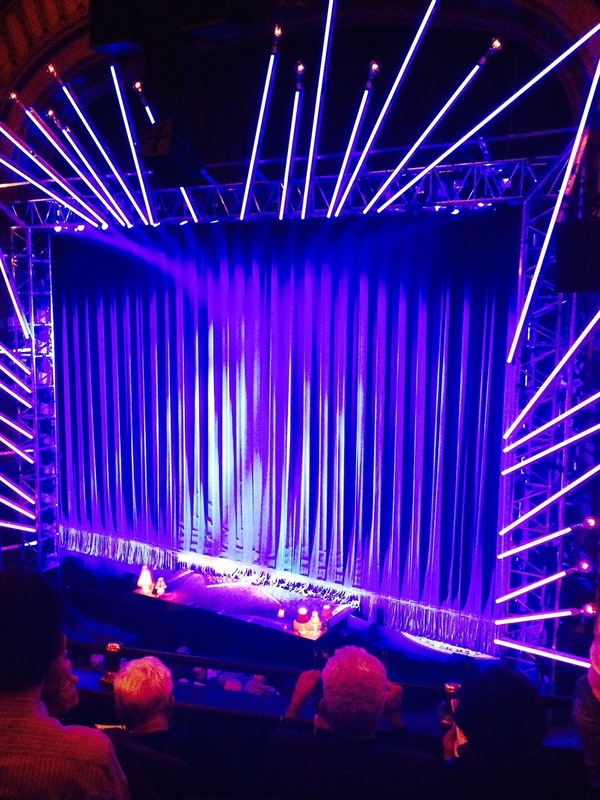 But that musical had a narrative arc; this musical was a straight up rock concert. And like a concert, the audience was key. The artists totally communicated. So many songs brought the crowd to their feet. My favorite was Piece of My Heart. God, that song is brutal. Janis truly seemed to give a piece of herself. You do wonder if that is healthy, especially given the rocker’s early death. Such a loss. Because I bet Janis would’ve loved to see the evolution of girl rock into woman rock. And selfishly, I wish Janis Joplin didn’t die, because I made a friend that night, and I’d like to see her again sometime. Disclaimer: Thanks to A Night With Janis and Serino/Coyne for the tickets. The opinions on this blog are always my own. Thanks to Joan Marcus for the pics of the performance. That picture of the curtain? Yup, that first one is mine!